The Coa Museum welcomes the Festival of Poetry and Music of Vila Nova de Foz Coa, from April 23 to 27. 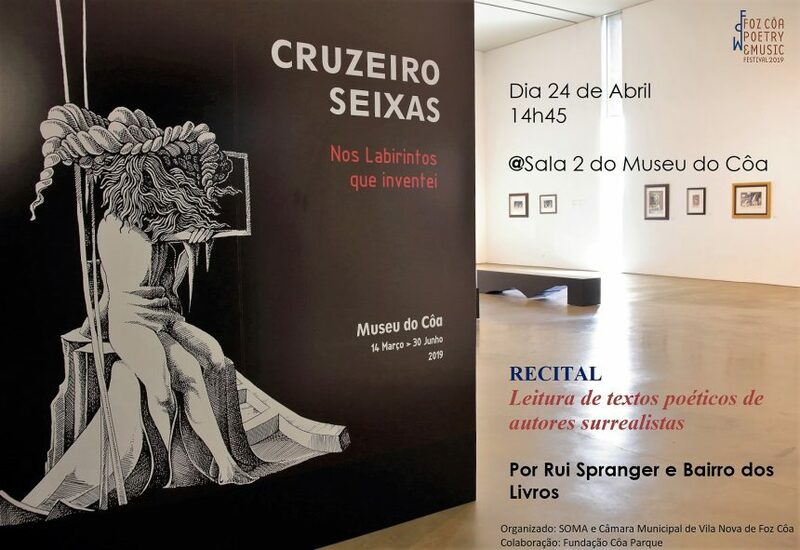 In Room 2 of the Museum, where Cruzeiro Seixas presents the surrealistic art exhibition In the Labyrinths I Invented, Rui Spranger and Cª Bairro dos Livros will recite poetry by surrealist authors. Free entrance for students with prior booking. Remaining public € 6, with free access to the Museum.